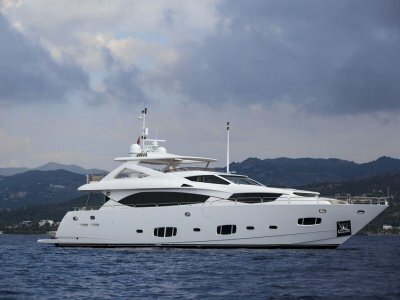 The Amazing 1988 Azimut "Auspro" is presented for sale. This iconic Italian motor yacht is in current 1C and 2B survey compliance and ready for charter operation, private cruising or both. 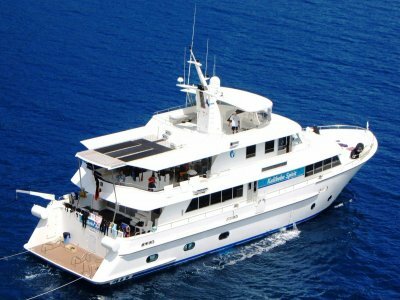 "Auspro" has accommodation for 8, the master stateroom features a convenient queen size bed, superb private lounge and two bathrooms, one with a spa bath. The convenient forward guest rooms accommodate a further six guests, with a large queen size guest bedroom and two additional twin bedrooms. All rooms have convenient ensuite bathrooms. 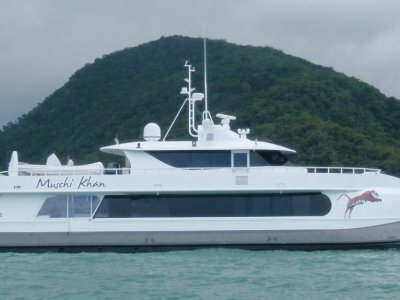 Crew accommodation for four crew including the important captain's cabin with ships office that would allow for a live aboard. The galley is modern and stylish with practical European appliances and the saloon has been tastefully designed utilising superb Italian cream leather and new carpets 2015. Extra detail in lighting and audio visual enhances the luxurious ambiance. The Fly bridge has a magnificent fully equipped wet bar with practical beer taps, glass fridges, BBQ and LCD TV. 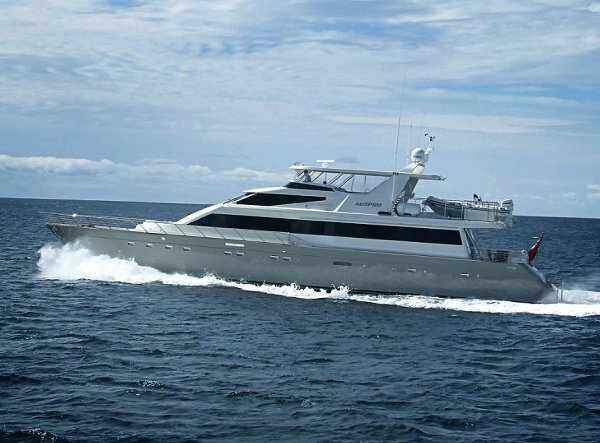 "Auspro" recently underwent an extensive refit in 2014. Accessories: Hardtop flybridge with 3 sided clears jacuzzi bow & stern thrusters teak flybridge deck aft deck & swim platform Gemini 4.6 mtr RIB with 70 HP ETEC Evinrude davit crane hydraulic garage storage flybridge wetbar entertaining extensive refrigeration | Remarks: If you are wanting a high volume, European motor yacht, with extended cruising capabilities and in current survey, Auspro delivers. 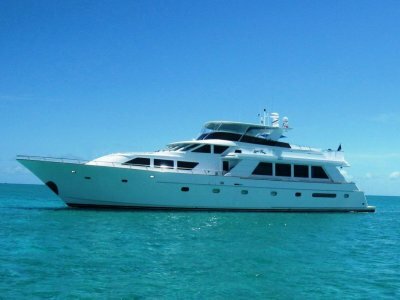 Contact The Boutique Boat Company today for further detail or to schedule a private inspection.